The look and feel of the kit mean nothing with out a seat that is sturdy and comfortable. 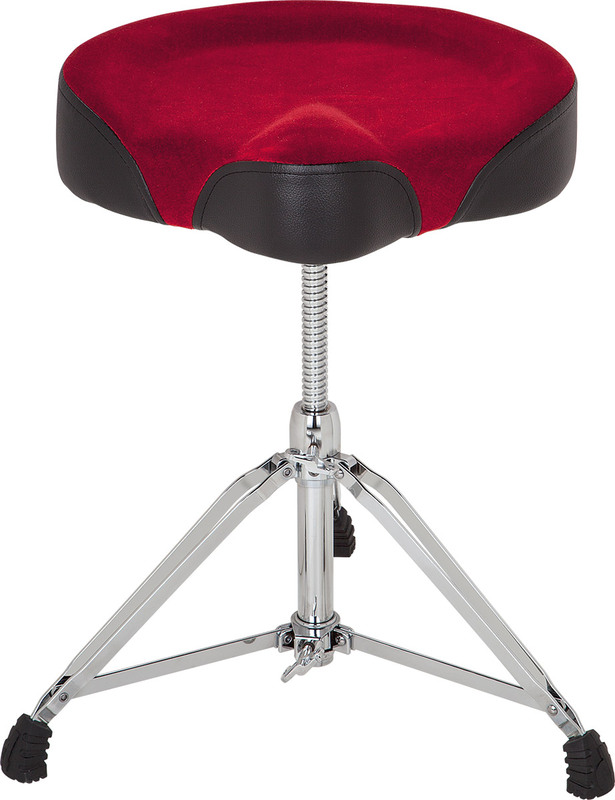 The Velvet top motorcycle seat is densely padded for great comfort and support. The screw post is great for the lowest sitting drummer, to the highest sitting keyboardist with the top of the throne reaching 19-27", from the lowest to the highest position, this throne is ultra sturdy. Like the other stands, these feature the double d wing screws and molded ddrum feet for a sleek look with maximum support.